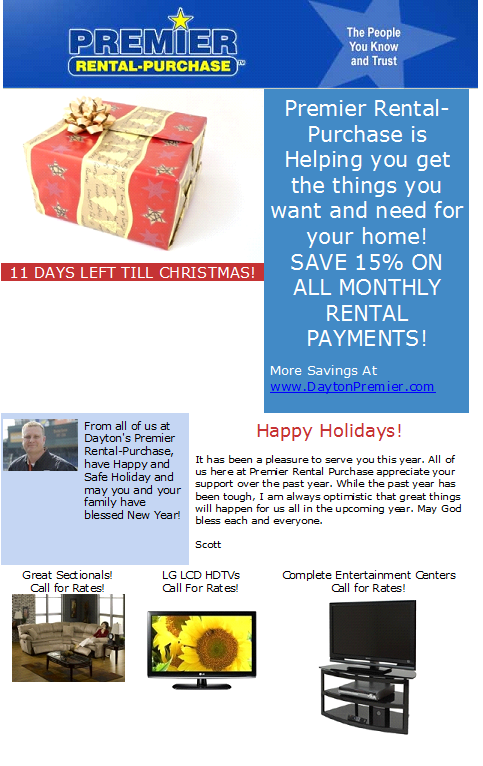 Let Premier Rental Purchase help make your Christmas Holiday a little easier. Let us help furnish your home! We have Appliances, Furniture, Computers and Electronics. No Long Term Obligation, Same Day and Free Delivery, No hassle, free Service.